Why is logging so important during the application development? Well, while your application is in the developing stage it is very easy to debug the code and to find out what went wrong. But, can you debug in the production environment? That is why logging messages are a great way to find out what went wrong and where did error happen in your code in the production environment. .NET Core has its own implementation of logging messages, but in all my projects, I prefer to create my own custom logger service. Let’s create two new projects. Name the first one Contracts. You are going to store the interfaces inside this project. Name the second one LoggerService. You are going to use it for the logger logic. 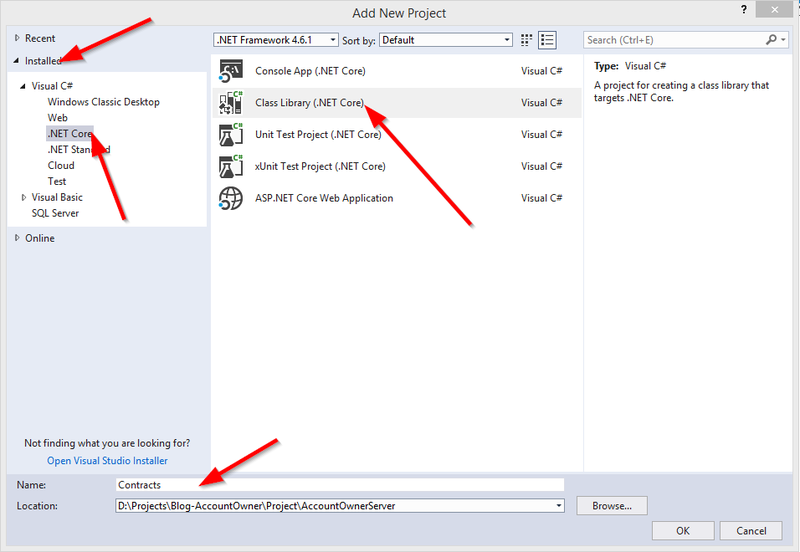 To create a new project, right click on the solution window, choose Add and then NewProject. Under the .NET Core, choose the Class Library (.NET Core) and name it Contracts. Before we proceed to the implementation of the LoggerService, let’s do one more thing. In the LoggerService project right click on the Dependencies and then click on the Add Reference. Inside check the Contracts checkbox to import its reference inside the LoggerService project. This would automatically add the Contracts reference to the main project because we already have a LoggerService referenced inside. Consequently, you will create the interface ILoggerManager inside the Contracts project containing those four method definitions. Before you implement this interface inside the LoggerService project, you need to install the NLog library in our LoggerService project. NLog is logging platform for the .NET which will help us create and log our massages. I’ll show you two ways how to add NLog library to your project. In the LoggerService project create the new class LoggerManager. NLog needs to have information about the folder to create log files in, what the name of these files will be and what a minimum level of logging is. Therefore, you need to create one text file in the main project with the name nlog.config and to populate it as in the example below. You need to change the path of the internal log and filename parameters to your paths. 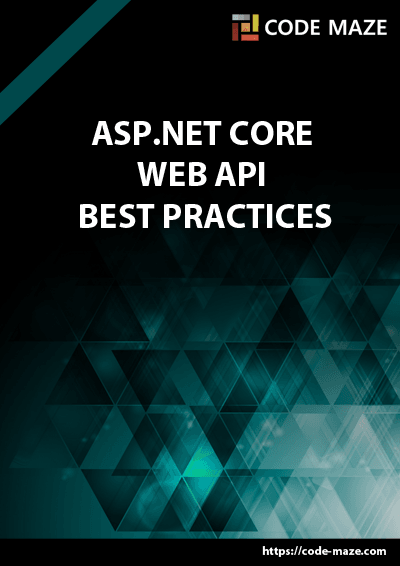 ILoggerFactory has its implementation inside .NET Core and it serves the purpose of configuring the logging system inside it. With the extension method ConfigureNLog, we are forcing the ILoggerFactory to apply the configuration of our new logger from the XML file. Every time you want to use a logger service, all you need to do is to inject it into the constructor of the class that is going to use that service. 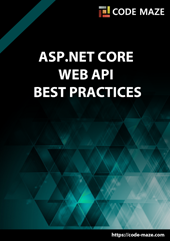 .NET Core will serve you that service from the IOC container and all of its features will be available to use. This type of injecting objects is called Dependency Injection. 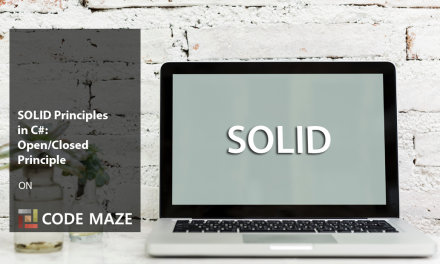 Dependency injection is a technique for achieving loose coupling between objects and their dependencies. It means that rather than instantiating an object every time it is needed, we can instantiate it once and then serve it in a class, most often, through a constructor method. This specific approach we utilize is also known as the Constructor Injection. In a system that is designed to use DI, you may find many classes requesting their dependencies via their constructor. In that case, it is helpful to have a class which will provide all instances to classes through the constructor. 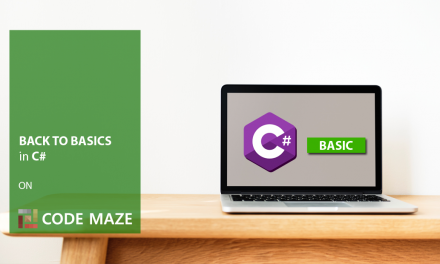 These classes are referred to as containers or more specific Inversion of Control containers. An IOC container is essentially a factory that is responsible for providing instances of types that are requested from it. For the logger service testing purpose, you could use ValuesController. You will find it in the main project in the Controllers folder. After all, start the application, and browse to http://localhost:5000/api/values. As a result, you will see an array of two strings. Now go to the folder that you have specified in the nlog.config file, and check out the result. You should see four lines logged inside that file. Now you have the working logger service, you will use through an entire process of our application development. Thanks for the post. For project reference, you have “Also, add a reference from the Contracts project to the LoggerService project.” This should be the other way around. Right? We should be referencing LoggerService project from Contract project to make use of the interface. When I added a reference from Contracts project to LoggerService project, I got some circular reference error. other then that, everything works fine. I was able to test the logging service in the end. Hi Sumu (again 😀 ) Well you just misunderstood me or I wrote it in the wrong way. But to explain my self: With the sentence “Also, add a reference from the Contracts project to the LoggerService project.” I meant in the LoggerService right click on the Dependencies and click AddReference, then choose Contracts and import it’s reference inside LoggerService project. Other way around you are going to get circular reference, as you mentioned. I am sorry for misleading sentence, I am going to make it more clear for understanding. Thank you very much for the suggestion. And thank you for reading our posts. I came for the error handling stuff but have found so much more. I just want to say thanks heaps for this series, especially for making the amendments such as the nlog code update. Thank you very much for your kind words. Don’t forget to subscribe, to get updated about our new posts. One more time thank you a lot. I want use DI in EF class library project, Is there any example available for class library? I have many projects so i want to create separate class library and want to use DI in those class library. There are many examples but not how to use DI and many thing in separate EF core class library project like transaction management to execute opeartion in single block without raising deadlock etc. Is there any example available? Thanks for your nice article! If I want to have a custom file name, how can I do it? For example, when an error occurred, I produce a number for user then developer can figure out where the error occurred. I want to change my file name error to this number. Hello Jahan. Thank you for reading this article, I am glad you like it. About your question. Developer will always know where the error started due to the stack trace message. You can modify the name of your error log file, but all the modifications exist in the nlog.config file. I am not sure how to do it in the code. You can check this link https://github.com/nlog/NLog/wiki/File-target for more information about target files and how to archive them and name them. Hey thanks for the article. I’m just diving in to back-end development and I’m finding this very easy to understand. However, there’s a small issue that I need help with. LogManager resides in NLog package if I’m not mistaken hence cannot be accessed from the Startup class I think since we added the NLog dependency to LoggerService and not AccountOwnerServer or am I missing something? Any sort of help is appreciated. Also could you elaborate as to why we need a Contracts project in between when we could directly use the interface in LoggerService? Hello Shahid, thank you for your comment. 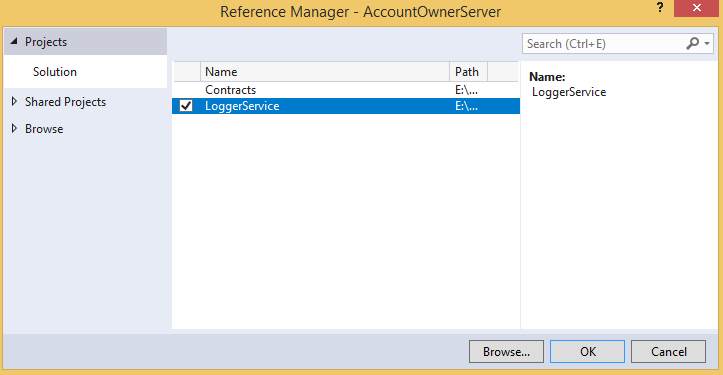 You are right that LogManager resides in NLog package and we have installed it inside the LoggerService project, but we have referenced that project to our main project thus we have a reference towards the NLog library. You can check that by expanding Dependencies > Projects > LoggerService. We need the Contracts project due to the interface reusability mainly. Now if you want to implement another logger with some other library, but you want to log the same level messages, all you have to do is to create another project and just reference the Contracts project. Then you would have access to the ILoggerManager interface. You are very welcome. Glad to hear you like it and find it worth reading.